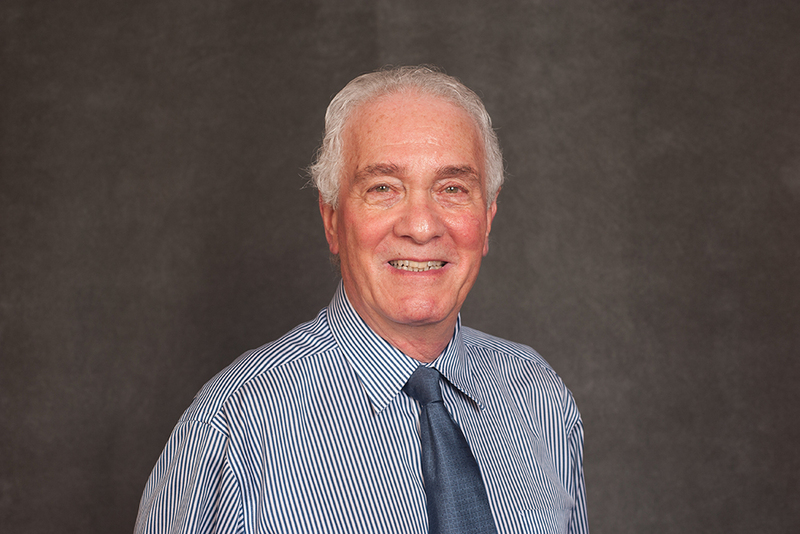 Kenneth Kellar, PhD, holds the Schering Foundation Professorship in Pharmacology, the oldest endowed professorship at Georgetown University. (January 10, 2019) — In 1966, the Schering-Plough Corporation and Foundation established the first-ever endowed professorship at Georgetown University, in memory of Schering-Plough’s late chairman Francis Cabell Brown (L’23). Currently held by Kenneth Kellar, PhD, the Schering Foundation Professorship in Pharmacology is the oldest endowed professorship at the university, where it has had a transformative impact. By supporting the recruitment of high-caliber faculty to train the next generation of researchers and clinicians, the Schering-Plough endowment has helped make Georgetown University Medical Center a premier academic institution. Kellar, who also serves as chair of Georgetown’s pharmacology and physiology department, is deeply grateful for the foundation’s generosity. Kellar is the fifth person to chair the pharmacology department (which was renamed the department of pharmacology and physiology in 2011). He is knowledgeable about the history of the department, which was founded by the late Theodore Koppanyi in 1937. In 1981, the Theodore Koppanyi Lectureship in Pharmacology was launched, bringing world-renowned scientists to Georgetown, including several who came a year or two before winning the Nobel Prize. As a researcher working with Koppanyi at Georgetown in the 1930s, Stephen Krop studied how barbiturates impact the brain, laying the groundwork for a distinguished career in pharmacology. The Stephen and Mary Krop Lectureship was endowed by the Krop family to honor their parents, and has brought scientists conducting cutting-edge research to Georgetown every spring since 2000. After their long drive, Kellar and his wife had breakfast with Standaert, who then invited Kellar to give a seminar at Georgetown. “I had never even seen Georgetown,” Kellar said. “But I liked it right away. It was the kind of university and setting I had always thought I wanted to develop my career.” A week later, Standaert offered Kellar a position, and he quickly accepted. Standaert’s legacy is celebrated with a named annual lectureship, which debuted in 2004. Following Standaert, Raymond Woosley chaired the department throughout the 1990s. He was succeeded as department chair by Ken Dretchen, with Kellar serving as vice chair. Kellar then became chair when Dretchen retired in 2016. Faculty in the department of pharmacology and physiology teach and train students in both disciplines in the medical curriculum, as well as in three graduate programs. The Special Master’s Program, which is specifically designed for students who are planning to apply to medical school, is also an important part of the department’s activities. The department of pharmacology and physiology is known for its expertise in neuropharmacology, as demonstrated by the legacy of the late Karen Gale, a faculty member in the department who also was the first director of Georgetown’s Interdisciplinary Program in Neuroscience. The Karen Gale Memorial Lectureship for Outstanding Women in Neuroscience recognizes a female scientist who has made significant contributions to the field through her research and mentorship. For more than 30 years, Kellar’s research has focused on the way that nicotine affects the brain via nicotinic acetylcholine receptors. The British pharmacologist John Newport Langley began to study nicotinic receptors in the 1880s, making them the first receptors ever studied. In 2014, the Society for Research in Nicotine and Tobacco named Kellar the recipient of the John Langley Award, named in honor of Langley. Early in his research career, Kellar and his colleagues found that chronic exposure to nicotine actually increases nicotinic receptors in the brain. They proposed that this receptor upregulation could be an important part of the mechanisms underlying nicotine addiction. After discovering this effect of nicotine in laboratory animals, Kellar and his colleagues used imaging studies to demonstrate that chronic exposure to nicotine affected human smokers as well. The images, later published in the Journal of Pharmacology and Experimental Therapeutics, contributed to a 1996 ruling by the U.S. Food and Drug Administration that classified nicotine as an addictive drug, leading to a $246 billion settlement from the tobacco companies to the states. Recent research by Kellar and his department colleague Gerard Ahern, PhD, showed that menthol, which is found in most cigarettes, desensitizes nicotinic receptors found in the bronchial airways and lungs, potentially making it easier for smokers to inhale more deeply and increase their exposure to toxins. The menthol in cigarettes has a pharmacologic effect on a prevalent nicotinic receptor expressed in the peripheral nervous system as well as airway sensory nerves and the central nervous system. By studying nicotinic receptors, Kellar has been involved in research looking at potential uses for nicotine. “Those same receptors are involved in cognition and we’ve looked at how nicotine affects cognition,” he said. In a study of 74 nonsmoking subjects with mild cognitive impairment (MCI), Kellar and colleagues at Duke University and the University of Vermont (now at Vanderbilt University) found that those treated with a transdermal nicotine patch showed significant improvements in some cognitive tests. The 2012 study was published in the journal Neurology. Of patients diagnosed with MCI, more than half will develop Alzheimer’s type dementia within five years. “If we can catch MCI at that stage, maybe we can slow it down or stop it,” he said. Researchers at Georgetown’s Memory Disorders Program are currently participating in a larger multicenter clinical trial on the use of nicotine to treat MCI. Kellar and Ghazaul Dezfuli, PhD, assistant professor in the department of pharmacology, also received a Partners in Research award in September 2017 to study the use of nicotine to treat obesity, a topic on which they published a November 2016 paper in Neuropharmacology. That work continues under Dezfuli’s leadership. Of all of his accomplishments throughout his tenure at Georgetown, Kellar is most proud of his students. He has mentored more than 20 PhD recipients and eight postdoctoral students who have pursued careers at prestigious institutions, including the University of Pennsylvania, Duke University, Howard University, University of Southern Illinois, University of Mississippi and University of South Carolina. Several of his former students students also hold important positions in industry and government. In addition to the pride he feels towards his students, Kellar emphasized his thanks for the Schering-Plough’s endowment, the significance of which was recognized by the university when, in 1997, Schering-Plough was named a charter member of the 1789 Society, a group of the university’s most generous benefactors. “The help they’ve given has an enduring and multiplying effect, and is very much appreciated,” he said.